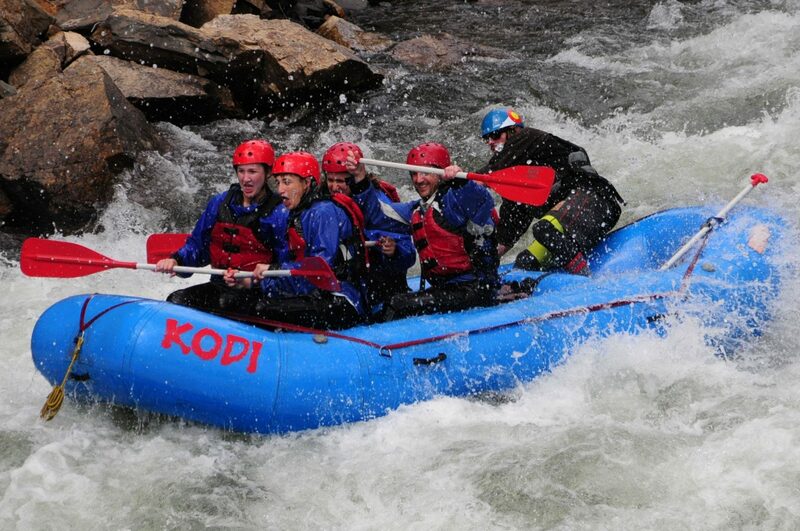 Book a rafting trip close to Denver with KODI’s Clear Creek Half Day Advanced raft trip. 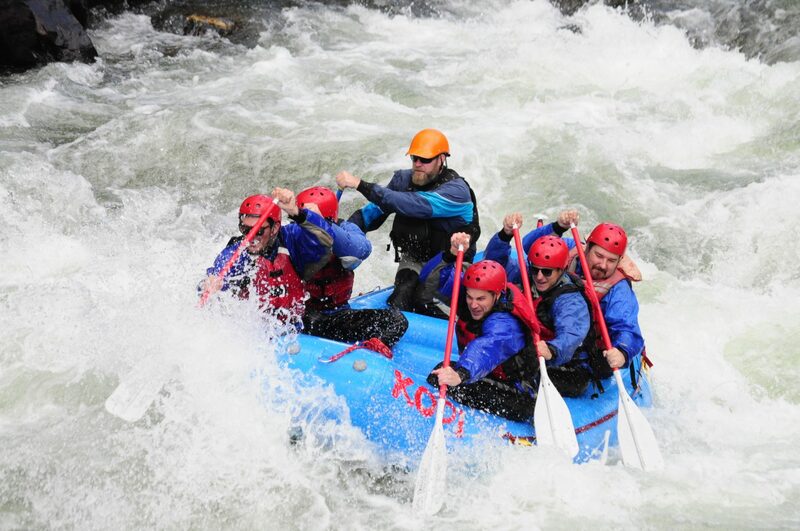 This Idaho Springs rafting trip is for serious paddlers who want continuous class II – class IV Colorado whitewater. 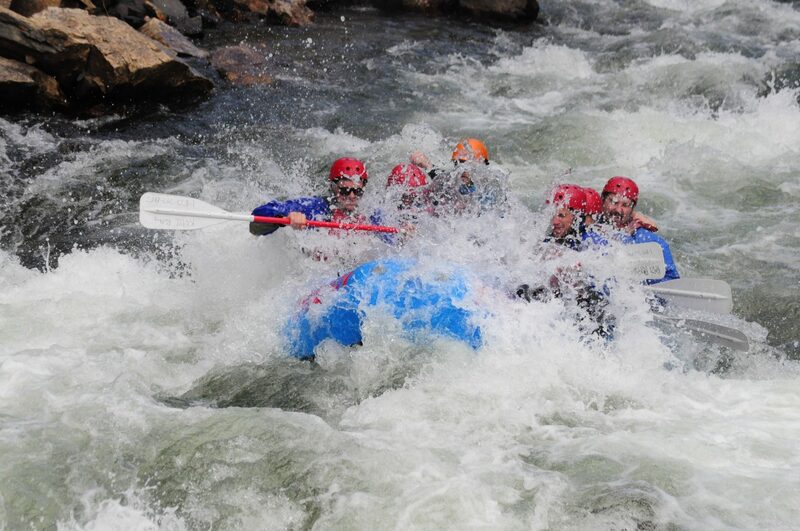 We begin this action-packed rafting trip with the Meat-n-Beef and Lumpy’s rapids just east of Georgetown. Following are rapids with names like Nomad and Phoenix Holes. While rafting down Clear Creek, you may see some of our native wildlife, including muskrats, beavers, deer, bighorn sheep, or even the occasional bear or mountain lion! 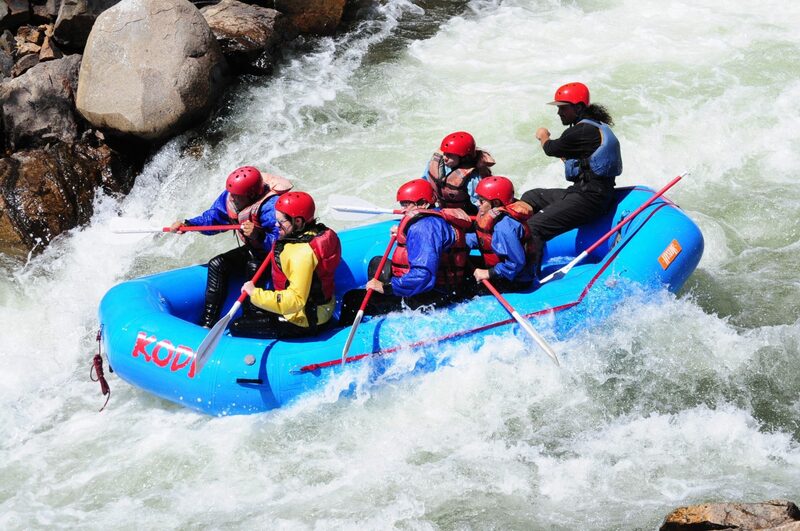 After navigating several hair-raising rapids, you’ll float into the historic mining town of Idaho Springs. Cool fact: Clear Creek is famous for being the most intensely mined area during the 1859 Colorado Gold Rush. **Wetsuits are included with all Clear Creek raft trips. Booties and splash tops are not included but available for rent.